Over 500 kilometers of 2D seismic has been acquired to date by Chinese geophysical service company BGP according to blocks SL-10B and SL-13 operator Genel Energy. 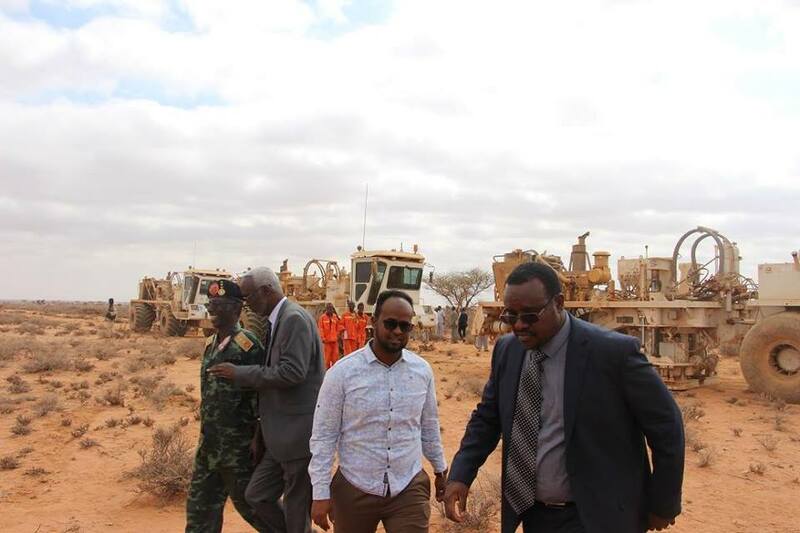 The data which is being acquired in Saraar, Togdheer, Dadmaded, Marodijeh and Hawd regions is part of the Somaliland government owned speculative 2D seismic acquisition project, with the operator purchasing the associated data from the government commenced in March. The need for acquisition according to Genel has resulted from a surface seep study completed early in 2015 confirmed the outstanding potential offered by this huge acreage position. Genel is targeting resources of over 1,000 mmbbls in blocks SL-10B and SL-13. The Odewayne block has a similar resource potential to this, targeting in order of 1,000 mmbbls. Gravity and aeromag has already been acquired and interpreted over the entire 40,000 square km acreage. This seismic program is the 2nd if its type, a 1st somewhat similar program to what was conducted in offshore Somaliland in 2008 through contracting with TGS-NOPEC. The current 2D seismic will satisfy the outstanding commitment in the current exploration phase on both licenses. Genel Energy says that any further activity beyond the current exploration phase is discretionary. Genel has 50 percent interest on the Odewayne Block while Sterling Energy (East Africa) Limited has 34 percent and has the remaining Petrosoma Limited 16%. On the SL-10B/13 block Genel is the operator with 75 percent interest.